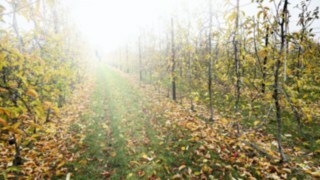 At the edge of the fruit-growing region of Limburg lies the Carolus Trees fruit tree nursery. The Belgian company grows a range of its own pear and apple trees, as well as several freely available varieties and club varieties. Nestled among all the apple and pear trees is a fleet of Linde electric forklift trucks, which tackle the dirty work in the truest sense. "Working with natural products in the open air is messy business and our equipment has to withstand dirt, mud and water," says Pieter Lemmens, production assistant at Carolus Trees. 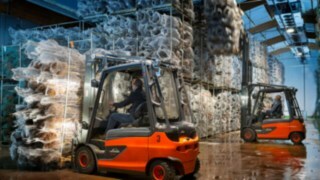 Durability is vital not just because of the weather and surroundings: the forklifts are also subjected to intensive use. 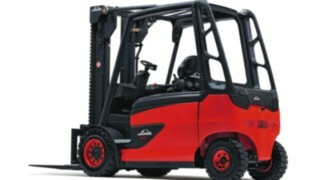 "The forklift trucks are used all year round for loading and unloading, as well as internal transport. During harvest season and tree delivery, this amounts to around twelve hours of operation per day," says Lemmens. 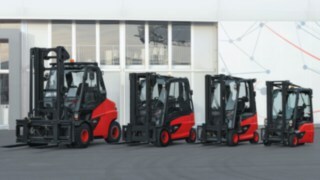 The forklifts are also used to move pallets and box pallets in and out of the refrigeration chambers, as well as for picking up and arranging packaged trees at great heights. 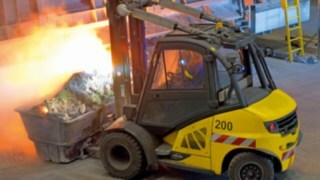 This means that the forklift trucks must be able to withstand large temperature differences. 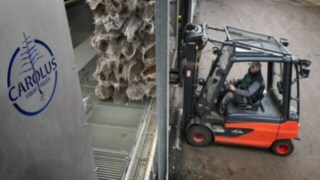 At the same time, since Carolus Trees grows fruit trees, emissions must be kept to an absolute minimum – which is why exclusively electric forklift trucks are used at the tree nursery. 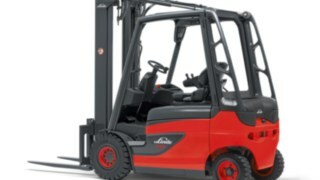 Why Linde MH forklift trucks? 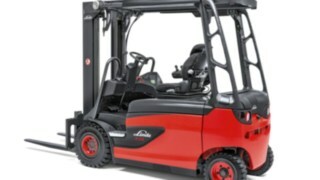 Linde forklifts are up to the job, but that’s not all – Carolus Trees can also be sure of excellent service. 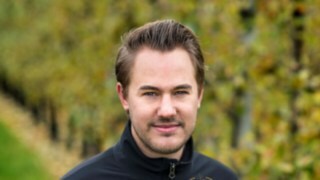 "We really appreciate the outstanding service, from the in-house technicians to the fast delivery times and the collaboration based on mutual trust," says Lemmens, who also highlights the excellent advice and support received before and after purchasing the forklifts: "The customer advisor contacted us several times to make sure every last detail was right." 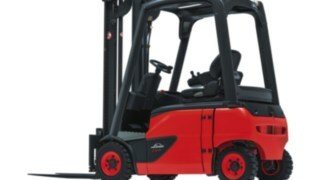 First of all, Linde and Carolus Trees examined the conditions under which the forklifts were to be used and discussed the associated requirements. 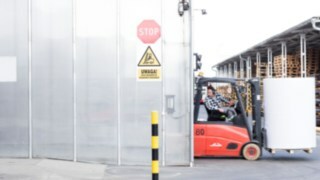 "We received a great deal of advice on the forklift trucks and equipment that would offer the best solution for our situation – and we took all of it on board," says Lemmens. As Carolus Trees had already been relying on Linde forklifts for some time, the decision was an easy one for Lemmens when it came to looking for new equipment. 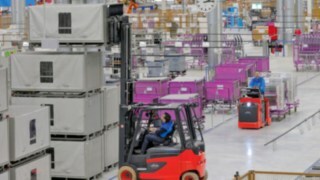 On top of this, he says, the drivers are very happy with the forklift trucks: "Ergonomics, performance, ease of operation, reliability and safety – Linde sets the bar sky high in all these areas," says the production assistant. Carolus Trees is based in the Belgian town of Nieuwerkerken and was established by Clement Carolus in 1963 as a small family-run business. With an annual production of some 2.2 million apple and pear trees that are exported to Europe and Central Asia, the company is a leader in its industry. Carolus Trees has been a partner of the investment firm Group MC since September 2017. 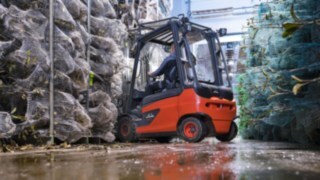 Stable, agile, cost-effective: Linde E16 – E20 EVO electric forklift trucks operate at high performance and efficiency even in confined warehouse spaces. Versatile, powerful, cost-effective: the Linde E20 – E35 electric forklift trucks bring together high handling performance and efficiency. 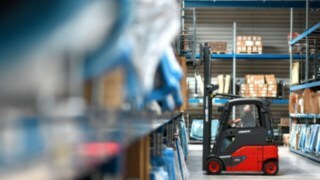 A world's first – panoramic view with high performance: The Linde E20 – E35 R electric forklift trucks bring together high handling performance and more safety due to unobstructed visibility. 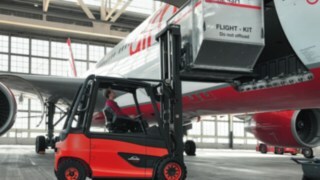 Adaptable, cost-effective, safe: The Linde E35 – E50 electric forklift trucks bring together versatility and efficiency. 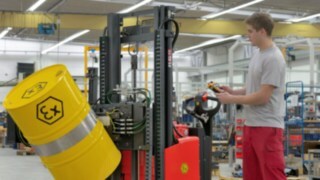 Linde Material Handling electric forklift trucks are ideal for precise and efficient logistics processes thanks to their special compact axle. Linde combines its own expertise in electric drives with the product requirements of its partners. 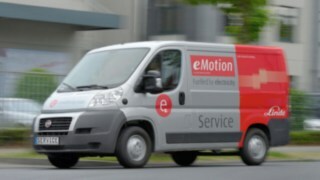 This results in innovative eMotion products.